Dishes and glassware are among the most fragile items you will move, which is why you should choose your materials carefully. 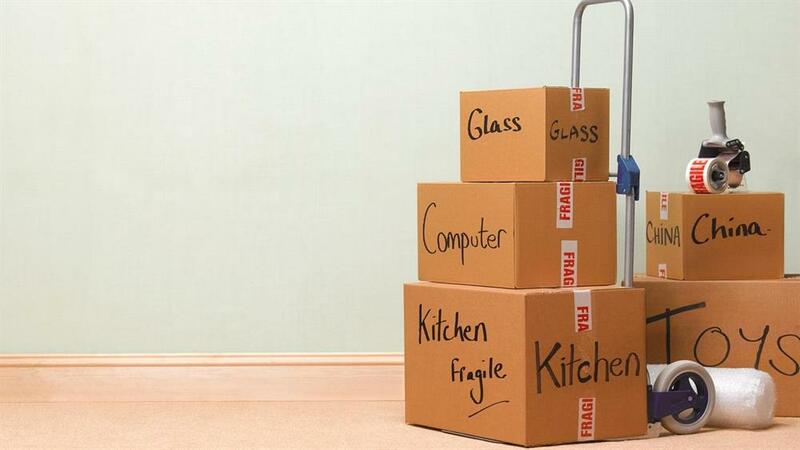 PROPERTY NEWS - Packing is without a doubt the most tedious and time-consuming part of moving. However, it should also be a priority on your moving to-do list, because it will help to save on the cost of your move and prevent potential damage or misplacement of your belongings. This is the most important rule for packing! Don't fill up a large box with books, because even a brand-new box will not hold together under that much weight. It is best to pack heavier items into smaller boxes to ensure the box's integrity. It also makes your boxes more manageable to move and unpack in your new home. Dishes and glassware are among the most fragile items you will move, which is why you should choose your materials carefully. We always recommend using a reinforced dish pack and some non-acidic glassine packing paper. If you use an ordinary box, the smallest ding could cause severe damage to the items packed inside. You also need to fill any space within the dish pack by using packing paper or the adjustable dish pack cells. Newspaper is an inexpensive alternative to packing paper, but you will have to wash all your dishes and glassware when you unpack them at your new home. For wardrobe and closet areas, try to pick up some wardrobe boxes beforehand. They are relatively quick to pack, because you can take the clothes hanging in your closet and move them directly into the wardrobe box. There is also space at the bottom of the box to store shoes, pillows, linens, and loose articles of clothing. Try to use linens and loose articles of clothing to help fill the space in other packed boxes as well. If you are looking to save on the cost of wardrobe boxes, it is always best to use suitcases and luggage rather than garbage bags. You can only carry two to four garbage bags at a time, which means more trips to the truck and more time and money spent moving. Wardrobe boxes are easier to unpack once you reach your destination, but keep in mind that they are about four feet tall and will take up quite a bit of space. Double-check that your boxes are completely closed; do not let items protrude from the top or side of the box. If an item does not fit into the box, it is best to either pack it into a larger box or to have the item wrapped in a moving blanket. Boxes that are closed, sealed, and well-supported can be stacked and quickly loaded and unloaded. Boxes that cannot be stacked can only be carried to the truck one or two at a time, which will take more time and cost you more money. Labelling boxes can save you a lot of time and frustration when you unpack in your new home. Try to use general phrases and keywords that you will remember when you need to find a specific item. It is also a good idea to label each box before you seal it. If your hairdryer doesn't fit into the bathroom box, you might have to store it in one of the bedroom boxes. If your boxes are not properly labelled, you may be stuck letting your hair air dry until you finish unpacking. When transporting mattresses and box springs, cover them in a plastic wrap. If you want to sleep on a nice clean mattress after a long day of moving, this is definitely the way to go. It's also a good idea to make sure you have a clean pair of sheets and blankets ready to use when you get to your new home.